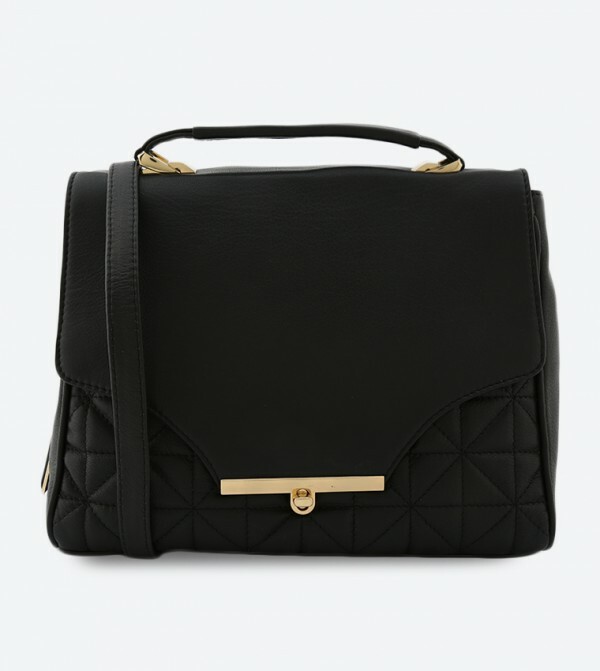 Extremely classy and capacious is this black colored shoulder bag from Naturalizer. Having ample space in the form of main zip compartment and external slip on compartments, this bag is surely not to be missed out on. The top haul loop promises ease of carrying it all day long, whereas the quilted pattern makes it classy. Designed using leather, this bag is durable.